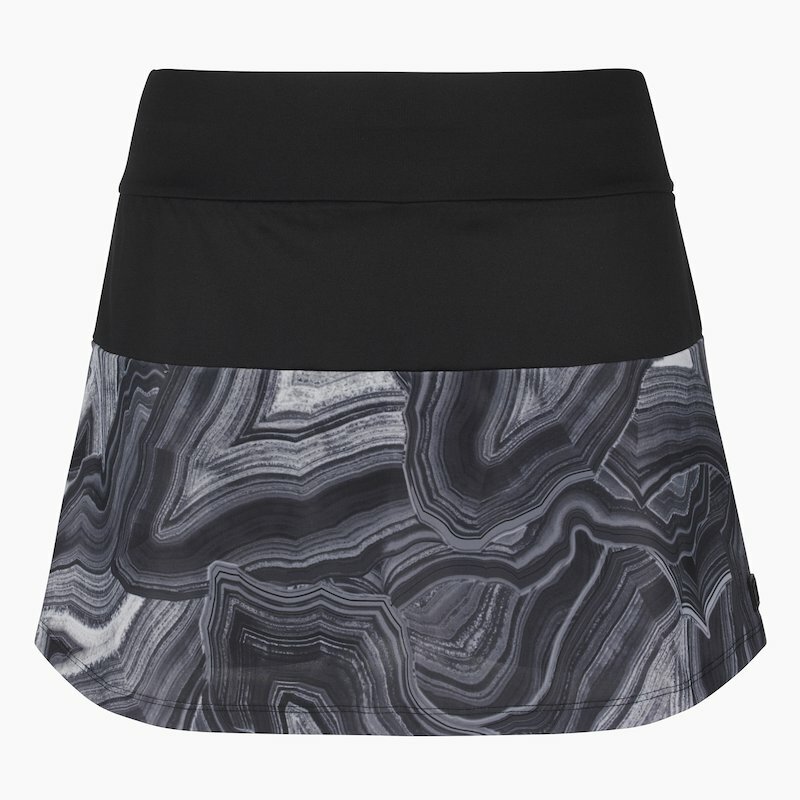 This grey-marble SKORT features soft and silky fabric and is the perfect garment to add to your sportswear collection for 2019. Featuring a stunning printed fabric which is lightweight, loose fitting and is great for running, tennis and other racquet sports. The built-in super soft inner shorts are made using quality Italian fabric with Lycra and the fabric is really stylish and goes with every colour top making it really versatile, so comfortable you wont want to take them off. "I love my Skort! A great fit and ideal for running or walking on Spring/Summer days and I can't wait to take it on holiday too!!" "ELECTRA grey marble skort I bought this recently in preparation for the tennis season - great quality as usual and just the right length"